“Raindrops on roses and whiskers on kittens…” are great and all, but do you know what some of our favorite things actually are? Things that are useful and helpful. Especially when the H. is O. (heat is on) in the kitchen. Often it is at the suggestion of others that we have found a few of our favorite things. 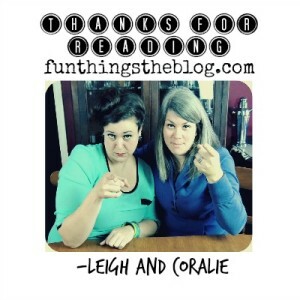 Why should our list of Favorite Things be relegated to the winter holiday season exclusively? As always, all recommended things can be purchased safely through our Amazon store. Click here or find our store on our menu! 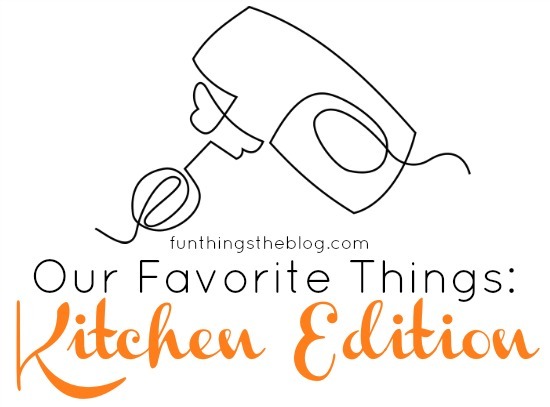 We’ve even created a special Favorite Things: Kitchen Edition category! We hope that you find a few new favorite things– with nary a “bright copper kettles” or “crisp apple strudel” in sight. 1. 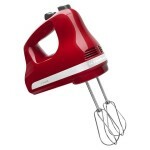 Kitchen Aid Handheld Mixer: This mighty 7 speed hand mixer packs a powerful punch! I mean if you just need a basic mixer, this one can take care of most of your mixing needs. This Kitchen Aid handheld mixer could go head to head with lots of other stand mixers. It makes short work of cake mixes and mashed potatoes and every thing in between! I would recommend this one if you were short on kitchen space but really, I recommend this hand mixer any which way. Because I had this handheld mixer I was very reluctant to get its big sister. I still use this one all the time when I don’t want to get the big moma out. 2. Crock pot and Crock Pot Liners: It is no secret that I am a fan of the Crock Pot. I mean, set it and forget it. What I am not a big fan of is cleaning the crock pot. Soooo… introducing the Slow Cooker Liner! This is the best thing that has ever happened to my crock pot game! If you are a crock pot user, I totally recommend you pick up a box of these and give them a whirl! How in the world it took me this long to try them is beyond me but, there is no going back now! 3. Cast Iron Skillet: I have to tell you- the cast iron skillet that Bub and I use belonged to my grandfather. So, I can’t tell you what brand it is or where it came from or any of that. What I can tell you is that I don’t necessarily think any of that matters. If you can find one in a yard sale or flea market, those would be just as great as a brand new one. Ahem, Leigh was gonna write a post solely about seasoning cast iron but, let me see if I can do this super succinctly. Get out your favorite seasonings and oil and rub it all over the inside of your cast iron. Then put in the oven on 350 F for an hour or 2. Let it cool and repeat (same day or later). Cook some bacon in it or fake bacon or something good and greasy. And then when you’re finished just wipe it out. Never. Ever. Never. Ever. Ever. Put water in or around your cast iron. Never. But. You can cook all kinds of stuff in cast iron. Everything from fried chicken to cornbread to cake to succotash to eggs to anything. 1. Orblue Onion Goggles: I bought these as a novelty gift for Jojo and my brother this past Christmas, but durned if they haven’t turned out to be a stunner. Yes, you will look ridiculous. 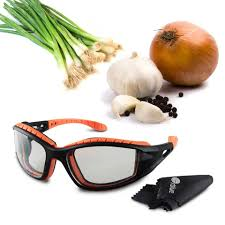 But you will never cut another onion in your house without them. 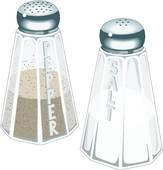 Additionally, they are good when you are toasting spices, peppers, or other eye-stingy things. Though again, to be clear, you will look ridiculous. 2. Lodge Cast Iron Scrapers: Speaking of things I gave as Christmas presents this past year, I love these Lodge Cast Iron Scrapers. I use them for all my pans, not JUST my cast iron- though they are great on cast iron. These make cleanup a breeze and have been added to my unlikely arsenal of dish washing tools. 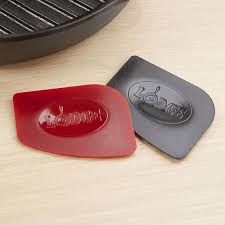 True, you could make your own scraper at home by cutting a plastic lid, but the Lodge brand ones have rounded edge that really whisks away all of the cooled bacon grease. 3. 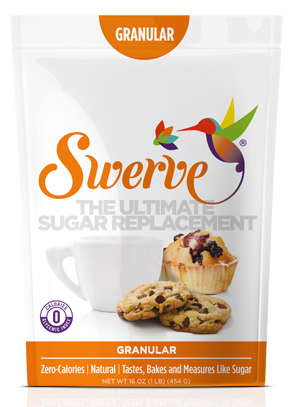 Swerve Sweetener: The artificial sweetener market is a big business. Long gone are the days of Equal and Sweet N’ Low. Today, it’s all Splenda and Stevia. To me, all artificial sweeteners tasted like science. They had an aftertaste, weren’t convincing, and you were extremely aware you weren’t eating sugar. I’ve found the next thing. The better thing. It’s called Swerve Sweetener. You can buy it at Whole Foods, right now, but I got mine through Amazon. Like Stevia, it is derived from plant science, but there is no bitter aftertaste. It’s science sugar, so I use it sparingly, but it has been integral in weaning me off of real sugar. Seriously. This stuff is amazing. And these are a few of our favorite kitchen things! Does anything on our list pique your interest? Are any of our favorite things your favorite things? Of course we want to hear, head straight to the comments and give us your feedback. 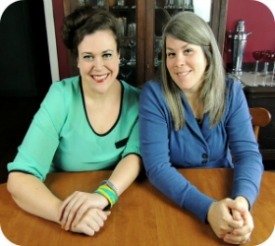 Chicken, Quinoa and Broccoli- A New Take on My Old Favorite Kitchen Cotton Strikes Again Our 2014 Favorite Things! So funny but I just got a Lodge cast iron skillet that I am loving! And I ordered the cast iron scrubbers the other day but haven’t received them yet! Glad I picked the right ones!